23 Digital led the way in designing a responsive website with multiple store fronts and a single backend, making management a breeze. 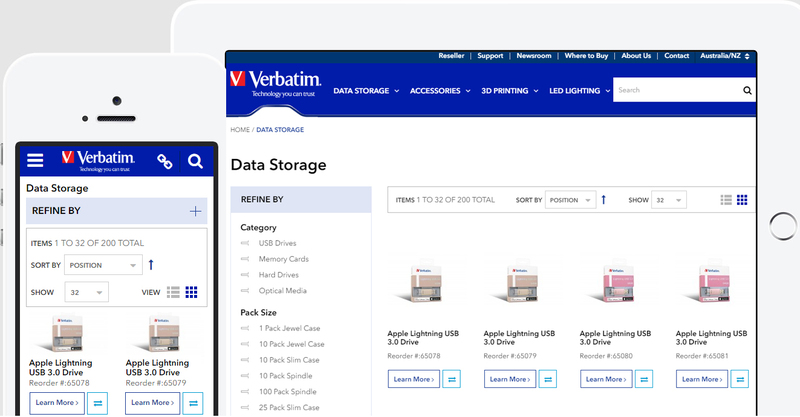 Established in 1969, Verbatim is a global leader in data storage technology and other computer hardware and consumables solutions. 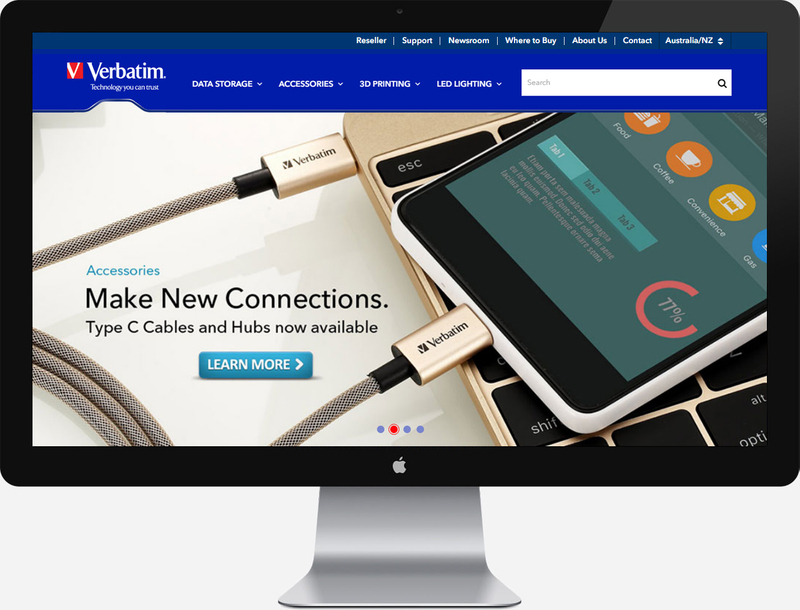 Verbatim Australia was founded in 1980 to provide customer-driven services locally across Australia, with superior manufacturing practices and a commitment to quality. Their mission is to supply high-quality products that assist users with storing, moving and using digital content. 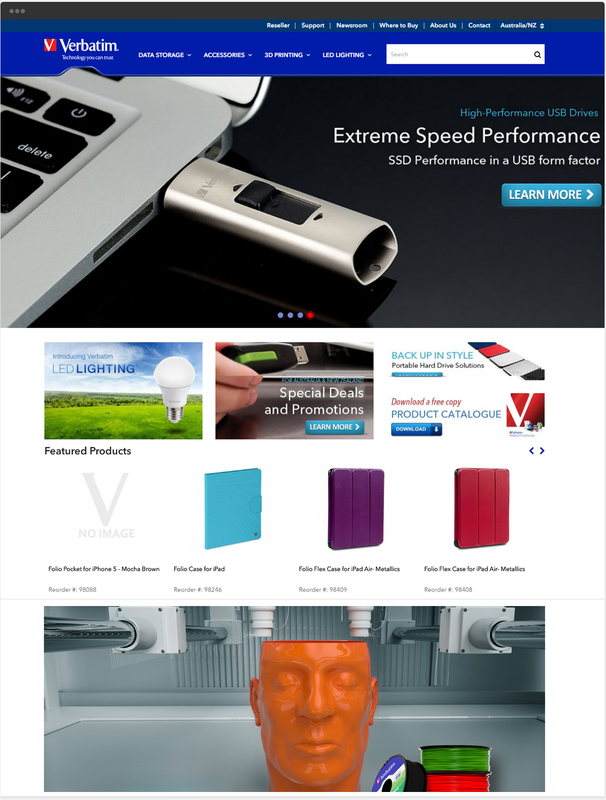 23 Digital supplied Verbatim Australia with a website consisting of multiple store fronts that are accessible and manageable from a single backend. 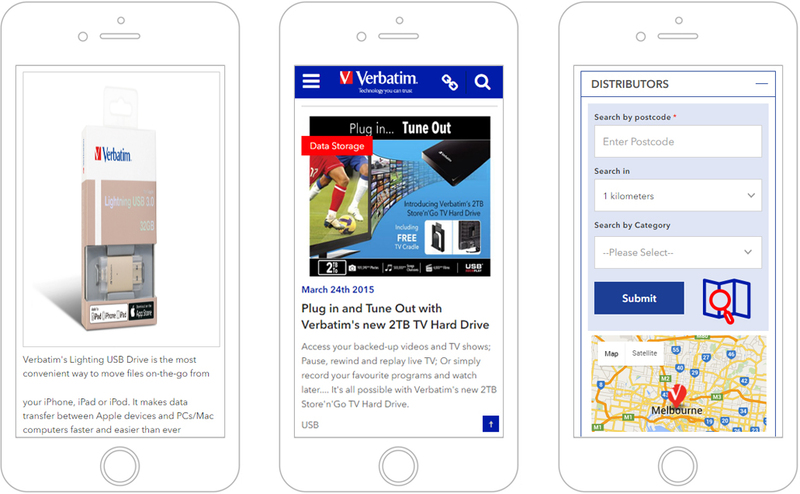 The new responsive design includes numerous features, including an easy-to-browse product catalogue and a convenient distributor locator that enables users to locate their nearest stockist. Once the new website is launched, an increase in traffic and enquiries is anticipated.